A Hebden Bridge police officer has been praised for his quick thinking after saving the life of a man in distress. PC John Sodhi from the Calderdale Valleys Neighbourhood PolicingTeam, is due to be presented with a Royal Humane Society Award for his actions in providing medical attention to a man whose life was at risk. 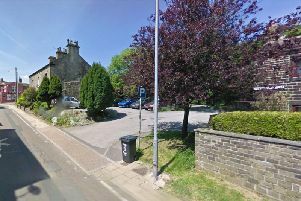 The officer attended the scene in Mytholmroyd, last April, after a member of the public reported a man was in severe distress. On reaching the remote spot PC Sodhi clambered up an embankment and found the victim by some trees. He then performed CPR on the victim and spoke to him in efforts to bring him round. Finally the male gasped for air but continued to breathe erratically as PC Sodhi continued to care for him while assistance from a colleague and paramedics arrived. Inspector David Shaw of the Valleys NPT, said: “We are really pleased for PC John Sodhi that his quick thinking and dedication to duty have been acknowledged in this way. “There is no doubt whatsoever that this man would have died if he had not acted as professionally as he did and delivered crucial life-saving treatment there and then at the scene. The Royal Humane Society is a charity that grants awards for acts of bravery in the saving of human life and, also, for the restoration of life by resuscitation. Their awards range from bronze, silver and gold medals to testimonials on Vellum and Parchment, certificates of commendation and resuscitation certificates. These medals, testimonials and certificates are presented throughout the year with no limit to the number given. The Resuscitation Certificate is awarded to people who have effected a successful resuscitation of someone, who was at one stage ‘seemingly dead’, through mouth-to-mouth resuscitation (MMR) and/or heart-and-lung massage (CPR).